Matti Pulkki (b. 1991) is a Helsinki based classical accordionist. Pulkki performs as a soloist and with different chamber groups. Recently he has been focusing on collaborating with composers on renewing the soundscape of the instrument through experimenting. 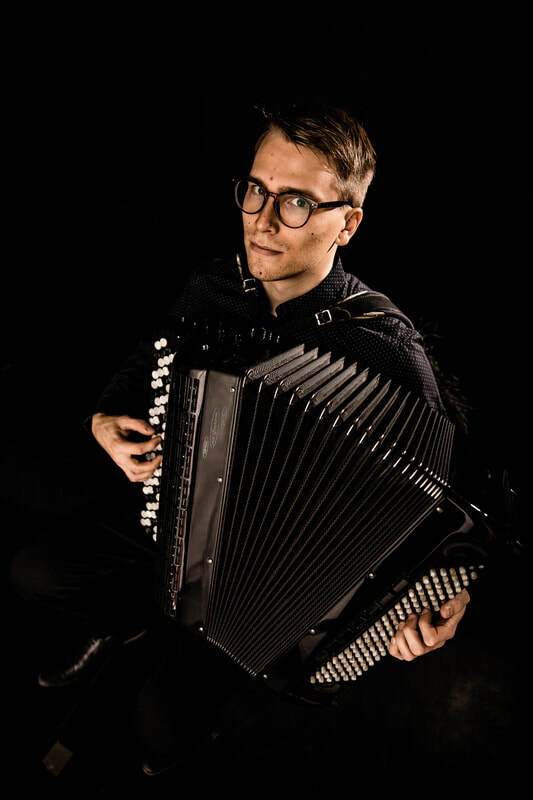 Though Pulkki concentrates mainly on original music written for accordion, he also arranges, transcribes, and performs music from a wide range of styles and eras. Pulkki recently completed his Master's degree at the Sibelius Academy of the University of the Arts Helsinki as a student of professor Matti Rantanen. From 2014 to 2015, he studied at the University of Toronto with professor Joseph Macerollo. ​​This concert is curated in part by composer George Katehis in conjunction with his research as a 2017-18 Fulbright Fellow.